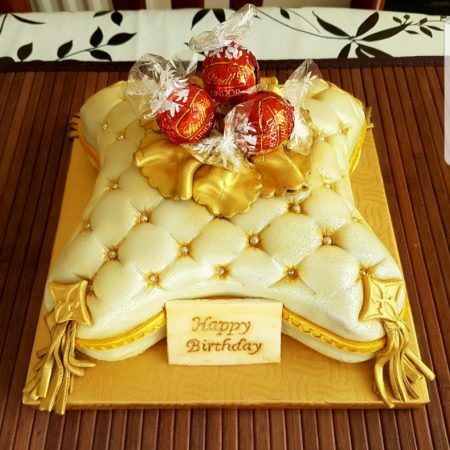 A royal inspired cushion cake, finished with gold fondant accents, edible pearls and a vintage looking plaque. Use chocolate or a dark coloured fondant as a base for creating metallic cake decorations. Brushing metallic or pearlised lustre dust over dark colours such as brown and black really brings out metallic colours such as gold and silver.